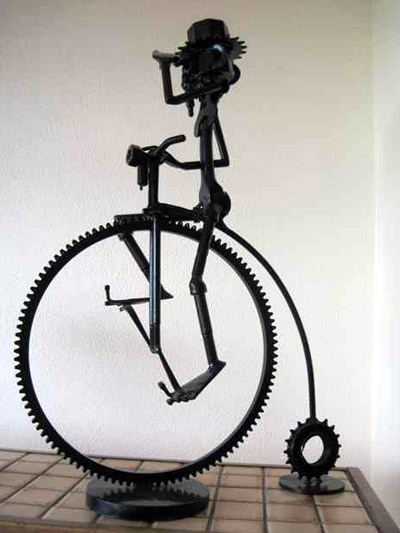 Awarded annually to a Pickwick Bicycle Club Member by Mr Pickwick. Gifted to the Club by Peter Magnus (Keith Robins) in 2009. Guest, Martin Quest, received the Peter Magnus Trophy on the 22 September 2011. 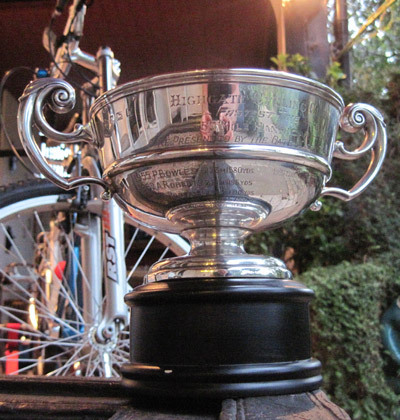 Our President, Samuel Pickwick (Blink), was poorly, so it was decided that the Blink's Bowl will be presented at the Golf/Cycle day. 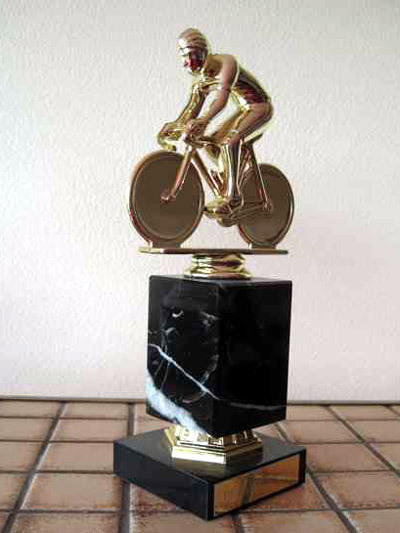 This trophy is presented at the Hampton Court ride to the person who has travelled furthest to attend the meeting. On the 22 September 2011 it was presented to Frank Simmery (Helmut Stibal) who traveled from the Black Forest in Germany. Gifted to the Club by Nathaniel Winkle (R D F Paul) in 1925. 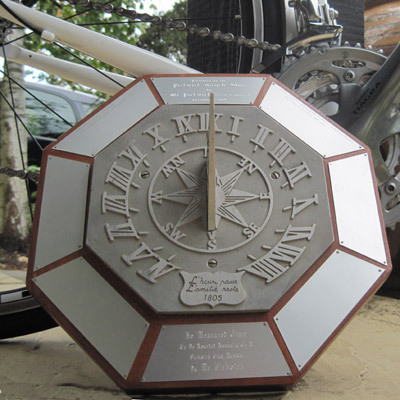 * This was a presentation medal for this ride, done in the North Road Cycling Club’s Twenty-four Hours Open Competition. These rides were abolished in 1893. However, Club members continue to rise to the 24 hour challenge. 1. To be competed for annually on a racing path – distance 25 miles. 2. The winner to receive the Gold Medal of the Club, his name to be engraved on the Cup, and he to be considered Champion of the Club for the year. 3. The Cup to become the property of the member who shall win it three times in succession or five times in all. 4. The second and third men to receive the Silver and Bronze Medals of the Club respectively. 5. The Cup to remain the property of the Club until absolutely won under the above conditions. 6. The Gold, Silver, and Bronze Medals will not be awarded should the time of the winner exceed more than 1½ hours, unless the Committee consider there is sufficient cause on the day of the contest to extend the above limit and give notice of the same to competitors at the starting post. The last win, being the third in succession, made the Cup Mr Mann’s own personal property. 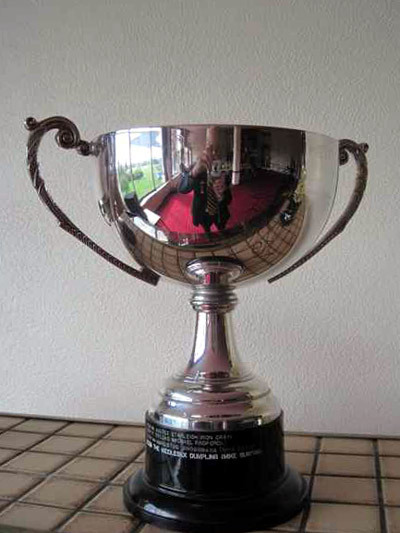 The Cup having been won three times by Mr E Hill then became his property. In July 1885 the Club awarded M. Webber the Gold Medal for beating the previous record by two seconds with two minutes, 41.25 seconds.